Japan’s Self Defence Force looks very much like a regular military, but is officially a civilian organization. Japan doesn’t have an army – that’s what you’re most likely to be told if you make any reference to the Japanese military. This is certainly the official truth, but Japan does maintain a body of troops for ‘self defence’ – which is what most countries claim their armies are for anyway. Fair enough, but most countries consider a military necessary to deter their neighbours from barging in and taking over. So how does Japan get by without an army? Initially it relied exclusively on the American occupation forces, and it still relies on America to a large extent. There currently over 35,000 American military personnel stationed in Japan, based at over 75 locations nationwide, but following the end of the occupation, Japan decided it needed some way to defend itself, so in 1954 the Self Defence Force was established. The Self Defence Force is often called on to help in disaster situations. 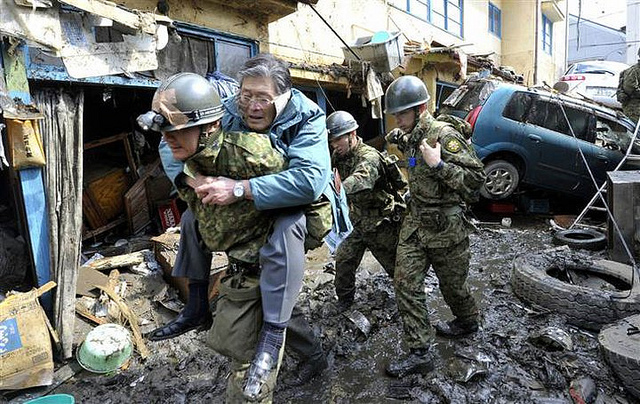 Here we see defence force personnel providing assistance following the 2011 tsunami. You may be wondering how Japan reconciles this with its constitution. It does this simply by asserting that the Self Defence Force is not an army. Officials never use the Japanese word for army (軍 ‘gun’) to refer to the Self Defence Force, and technically it’s just an extension of the police force. Consequently, there is no such thing as military law, and Self Defence Force personnel (never ‘soldiers’) are employed on the same basis as regular government employees. The calamitous defeat in the Second World War turned public opinion in Japan strongly against all things military, so initially there was widespread opposition to the Self Defence Force. Even today, many Japanese maintain a pacifist outlook, but the Self Defence Force has gradually become less controversial over time. Most Japanese people remain determined that Japan should not involve itself in military action overseas, and any attempts to increase the funding or capabilities of the Self Defence Force are opposed by a large section of Japanese society. In recent years, the Self Defence Force has taken part in several United Nations sponsored peacekeeping and reconstruction operations, most notably in Iraq, but these deployments have been deeply controversial with the Japanese people. These sailors are aboard the Japanese destroyer JDS Kongo as it moors in Pearl Harbour. The Self Defence Force works in close cooperation with the US military, and they frequently train together. Despite all of these misgivings about warfare, the Self Defence Force is a large and well-equipped organization. It has separate land, air and sea branches, and a total of almost 250,000 personnel, making it the 24th biggest armed force in the world. Its annual budget is over $50 billion, which places Japan 7th in the world in terms of military spending. The Self Defence Force does lack some key capabilities that would be needed for offensive warfare, such as aircraft carriers and long-range missiles, but otherwise it’s a modern and well-equipped fighting force: It has 915 tanks, 374 fighter planes, over 500 helicopters, 78 warships, 16 attack submarines, and a host of other weapons. One principle that has been maintained very strictly is the total rejection of nuclear weapons. Having been on the receiving end of what thankfully remains the world’s only nuclear war, Japan regards nuclear weapons as abhorrent and is determined never to acquire them. 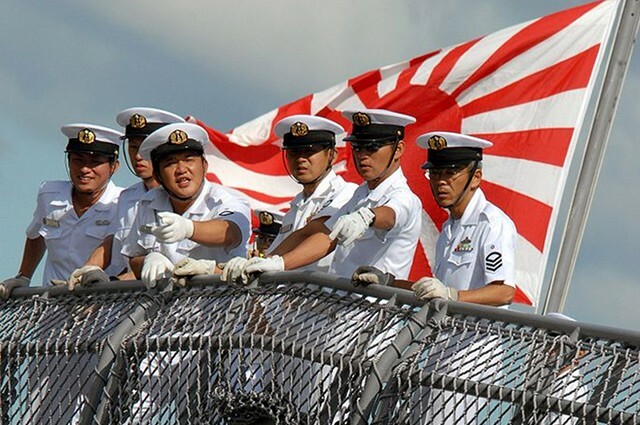 It seems likely that Japan will continue its policy of having a large and capable force dedicated to self-defence, without admitting that it has an army, for the foreseeable future – a position that seems to satisfy the majority of Japan’s people. You can get a very good overview of Self Defence Force’s capabilities just by watching this promotional video. To get there, take a Tobu-Tojo line train from Ikebukuro Station (on the Yamanote line) to Wakoshi Station. Express trains take 13 minutes and cost 240 yen. From the station it is about a 15 minute walk to the Public Relations Centre. There is a map on the centre’s website here, and you can see the centre on Google Street View here. It’s closed Sundays, some Tuesdays, the days following public holidays, and between December 28 and January 4. Note: Feedback I have received from readers of this page has revealed to me just what a sensitive subject the Self Defence Force is. 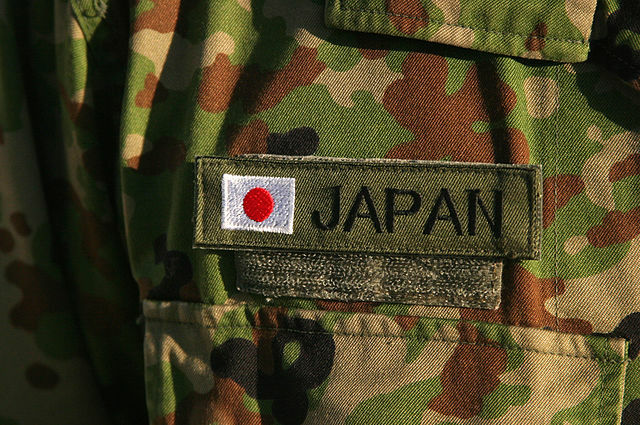 This article is intended to be neither critical nor supportive of the Self Defence Force, but aims just to provide some general information about the organization and Japan’s policies in relation to defence.